Since its heyday in the 1950s, science fiction has captured the American imagination by transporting readers to distant galaxies and far-flung futures. But a University of Arkansas researcher claims the themes of sci-fi books and movies are far from otherworldly. In fact, they offer profound commentary on the political, social and economic climate of this country. Focusing on what he terms “the long 1950s”–from 1946 to 1964–Keith Booker, professor of English, finds political and post-holocaust themes embedded in much of science fiction. In many books and films, extraterrestrial beings or futuristic utopian societies represent more than flights of fancy. Rather, they reveal the author’s misgivings about the increasing alienation and routinization of American society at the time. 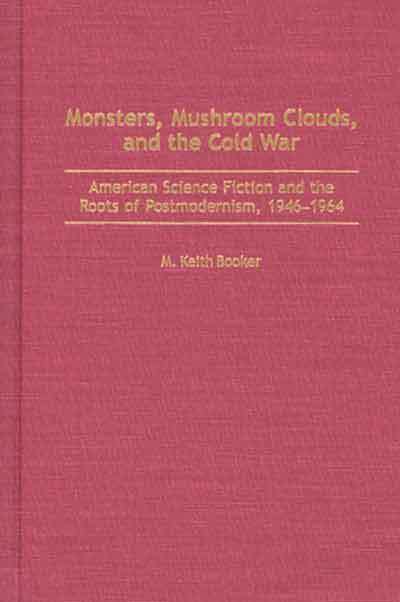 Further, Booker draws ties between alien invasion plots and monster movies and the growing xenophobia that gripped Americans during the Cold War era. By luring readers into fantastical landscapes and plot lines, writers of science fiction essentially assumed control of reality, at which point they could pursue political, social and economic policies to their most radical end. The result is a form of social criticism, safe because it’s couched as fiction, popular because it entertains.